Agreement to help small businesses, homeowners and renters access state funds for uninsured losses and physical damage incurred as a result of the Chelsea explosion. The state is working actively and aggressively to ensure that all affected residents and businesses quickly recover. 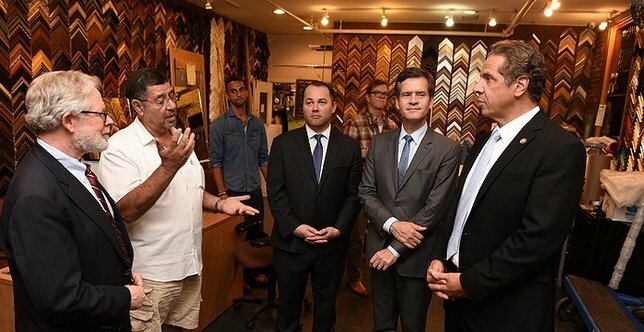 New York, NY - September 21, 2016 - Governor Andrew M. Cuomo, Senate Majority Leader John Flanagan and Assembly Speaker Carl Heastie today announced an agreement to help small businesses, homeowners and renters access state funds for uninsured losses and physical damage they have incurred as a result of the Chelsea explosion. Photo: Governor's Press Office, via Flickr. Senate Majority Leader John J. Flanagan said, "Saturday night's terrorist attack in Chelsea was an attempt to strike fear in the hearts and minds of the residents of our city and state, but it failed to do so. As a state, we must do everything possible to ensure that the businesses and residents in and around this neighborhood return to their daily lives as soon as possible. Therefore, I am pleased to join Governor Cuomo and Speaker Heastie in making state resources available to mitigate their financial losses, and help these hardworking people continue to move forward." The Department of Financial Services will work directly with businesses and residents to submit insurance claims. As regulator of the insurance industry, DFS will work with insurance companies to expedite claims and resolve any issues. For uninsured losses, the state will offer a grant program. The Division of Homeland Security and Emergency Services will administer this new grant program to cover all remaining uninsured costs. Affected business owners and residents should visit the mobile van or call the DFS Insurance Disaster Hotline at 800-339-1759 (Monday – Friday, 8:30 AM to 8:00 PM). The state is also working to determine eligibility for homeowners, renters, businesses and nonprofit organizations to receive assistance through the Small Business Administration’s physical disaster loan and economic injury disaster loan programs. Under the federal Small Business Act, the Governor of New York can certify to SBA that a small business located in a disaster area has suffered economic hardship and thus is eligible to apply for emergency loans. The state Office of Victim Services, working with the FBI, has connected victims to OVS-funded service providers, which will help those individuals file claims for compensation for medical bills and other expenses and also provide direct services, such as crisis intervention and counseling. Individuals seeking help from OVS also can search for a service provider online. 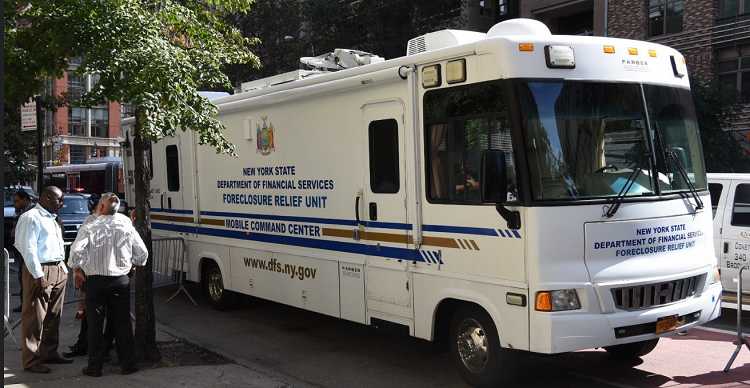 There are more than 50 agencies across New York City able to assist. For more information, please call 1-800-247-8035 or visit: www.ovs.ny.gov. Senator Brad Hoylman said, "As we have seen time and time again, New York is a city that only grows stronger in the face of adversity. While Chelsea continues to demonstrate the resilience and generosity of spirit typical of New Yorkers, there are many residents and local business owners who continue to feel the reverberations of this weekend’s act of terrorism. I am profoundly grateful to Governor Cuomo for providing emergency funding to ensure small businesses impacted by the Chelsea explosion can survive and continue to serve our strong neighborhood." Subject: LongIsland.com - Your Name sent you Article details of "Governor Cuomo, State Legislative Leaders to Make Emergency Grants Available to Small Businesses, Homeowners and Renters Impacted By Chelsea Explosion"